GAL Aerospace flies high with Baracci Solutions! Baracci Solutions is proud to announce the launch of GAL Aerospace new website. GAL Aerospace is a North American based ‘Super Sub-Tier’ supplier to the aerospace cabin interiors market. The enterprise also has a staffing division that specializes in the provision of temporary and permanent staffing as well as specialized technical services to the Aviation and Aerospace industry. In this new version, Baracci has completely redesigned the corporate site in order to integrate the subsidiaries acquired by GAL Aerospace in the recent years. The new design is sleek and user friendly. In addition, GAL Aerospace’s customers have the opportunity to order samples online. Baracci Solutions is proud to launch the web portal of the 1st Montreal Electric Vehicle Show, completely managed by our event management system (eBEMS). GASTI LOGO - Today we are announcing GASTI’s new logo. Today we are announcing GASTI’s new logo (Governance - Audit - IT Security). Baracci Solutions est fière d’annoncer la mise en ligne du site web commerce électronique de MANCINI Leather, bien connus sur la scène internationale comme la première marque de produits en cuir au Canada. BARACCI SOLUTIONS HAS LIFT-OFF WITH AERO MONTREAL ! We are proud to launch the Aéro Montréal Web Portal www.aeromontreal.ca. A new design with a fresh new look and user-friendly navigation, a revamped members Web Portal, Events Management Logistics and CRM functionalities all managed within our Web Business Management System (WBMS). Baracci Solutions is awarded the GAL AEROSPACE contract. Baracci Solutions has been selected by GAL Aerospace to redesign their corporate website, integrate their speciality divisions (GAL CABINETRY, GAL COMPOSITES, GAL ENGINEERING, GAL STAFFING) with an eCommerce functionality. GAL Aerospace - Aircraft Interior Completion Specialists dedicated to manufacturing excellence of aircraft interior components for business and commercial aircrafts. 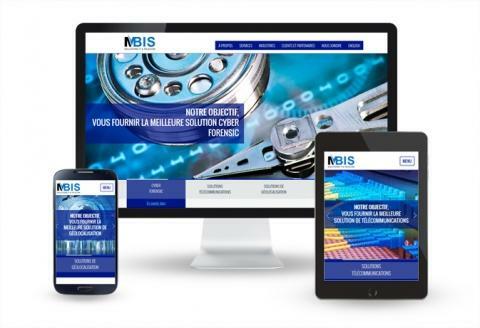 Baracci Solutions has just launched a new Responsive Website for MBIS, a leading company in the field of forensic science and new technologies. Completely designed and developed by Baracci, the new responsive website showcases MBIS’s wide range of IT Solutions and its Cyber Forensic expertise. Click here to discover the new MBIS responsive website. 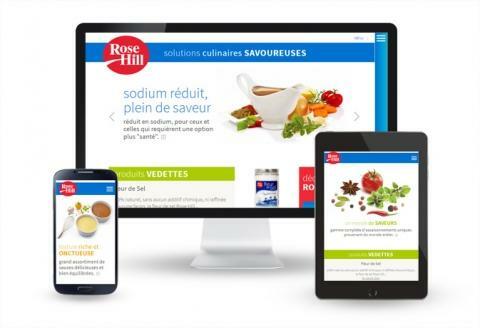 Baracci Solution has just launched a new Responsive Website for Rose Hill Foods, a business that supplies the food service industry with quality products such as soups, sauces and spices/seasonings. Completely designed and developed by Baracci, the new responsive website showcases innovative and flavourful culinary solutions. Click here to discover the new Rose Hill Foods responsive website.